White Dot Skis: "The One" & "The Director"
I know I hadn't. But when I passed their demo tent at Big Sky this past week, far be it for me to resist giving them a try. White Dot is a small European company with limited distribution, so it's no surprise if they don't sound familiar. The skis are hand-crafted in Poland, and the company says they're made in pairs, which they claim ensures better performance. The company prides itself on its green construction. The skis' cores are poplar/ash, which they say come from sustainable forests; the off-cuts from the cores are used to heat the factory, and the off-cuts from the fiberglass are added to building cement. White Dot offers five different models, each featuring a different background color and white dots. (hence the name White Dots, get it? ). These are unisex skis; there are no women's or men's models. 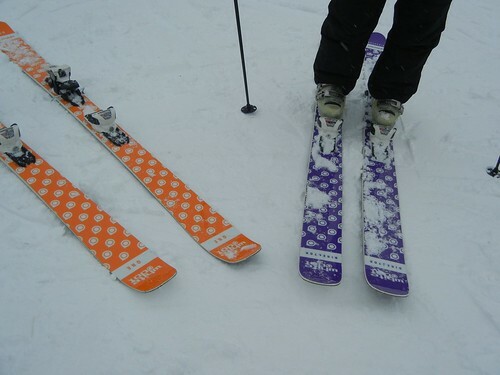 I tried "The One," their all mountain freestyle ski (they're orange), and "The Director," a rockered all mountain ski (purple). Conditions that day: we'd had about 6 inches of fresh, fluffy powder. Really nice. The One comes in 3 sizes -- 166, 173, and 180. Mine were the 166, with a turning radius of 16m. The dimensions: 119/89/113. The One has minimal camber and a slight rise in the tips and tail. The tip is also oddly squared off; the literature says that's for tip grabs in the park (not for me). I liked 'em. Took them in the trees and found them easy to turn in the bumps-- not too grabby, yet fun to ski on the groomers, too, and easy to maneuver through the fluffy stuff. Then I tried "The Director." This comes in three sizes, too: 168, 178, and 188. They have a 'five-point' design: 117-121/107/111-107, with a sidecut under foot with a rockered tip and tail that tapers away. I immediately felt unstable -- maybe I'm just not used to a ski with no camber. 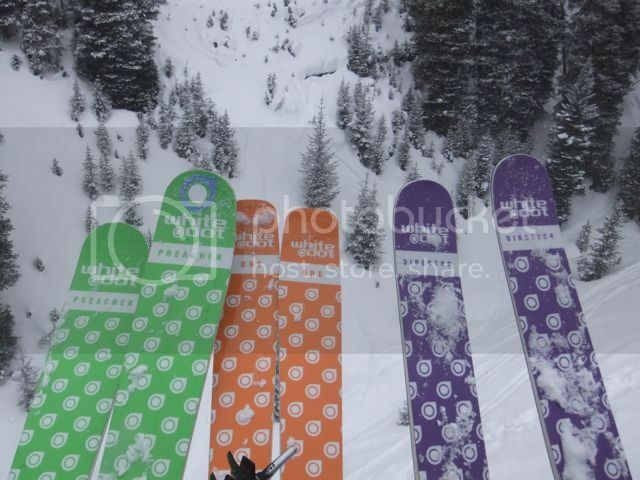 And though I didn't really like them in the trees/bumps, they're great in the powder; they positively float. Anyone else ever try these? I'd be interested in your impressions. Thanks for the review. I keep seeing these at Jay Peak and have been very curious to hear more about them. Haven't seen them around for demo anywhere but really like the simple graphics and the unisex thing. Sounds like you liked them fine but..? I tried the Director after Wendy. Could tell they floated on powder but not too much else. We were sticking with groomers since visibility and energy was low in the afternoon. Bill and Jason tried a couple too. In general, not enough powder to really test out the fatter versions. Bill had the widest, the Preacher (green), to start with and really didn't like it for the conditions. I think they both had the Director (different lengths) the second time and liked it okay. Found this video review by a bloke in the UK who loves the Director. White Dot USA seems to be based in SLC. I think that's just their US location. These are much better known in Europe amongst those who like their boutique gear and have a very good reputation. I saw a demo tent in st. Anton last year during the world ski instructors convention thing. I actually have a pair of The Ones which I won in a competition a few years ago which I'm ashamed to say I've not yet had mounted! I've got them in 166 which is probably a bit short for me but as they're supposed to be a fun ski - although no tail grabbing for me either! 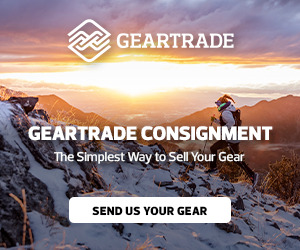 Do you have any recommendation about a binding Ski Diva?